Mexico’s draw for this summers Copa America Centenario left head coach Juan Carlos Osorio filled with optimism. “I believe we have a very accessible group and our purpose will be to advance in first place of the sector,” said Osorio upon learning that Mexico’s Group C rivals will be Uruguay, Jamaica, and Venezuela. “It is an interesting mix,” observed Mexico’s boss. “Uruguay has been champion 15 times and are characterized by their strong defense, their aerial game, and elite strikers. 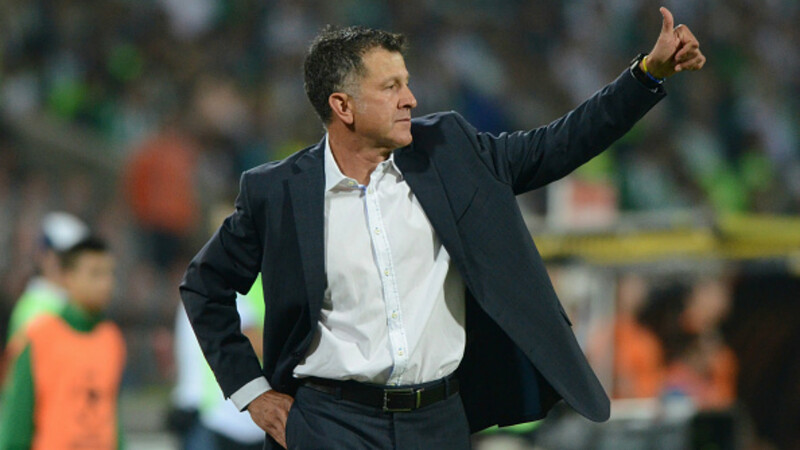 They will be very competitive,” added Osorio of Mexico’s top threat. “We have to and I believe we will have a very good participation,” added Osorio. “We will have great support from our fans, of the Mexican people that are passionate about their national team. Other fans will also follow their teams this is a very touristy country. There will be people from many countries and it will be a tourney that will show the world the football that is played in this continent and that we have an important competition like the Copa America,” finalized Osorio.